Yahoo ..two blog hops in a week..gotta love it! This Blog hop is for a facebook group Im on called ESAD. 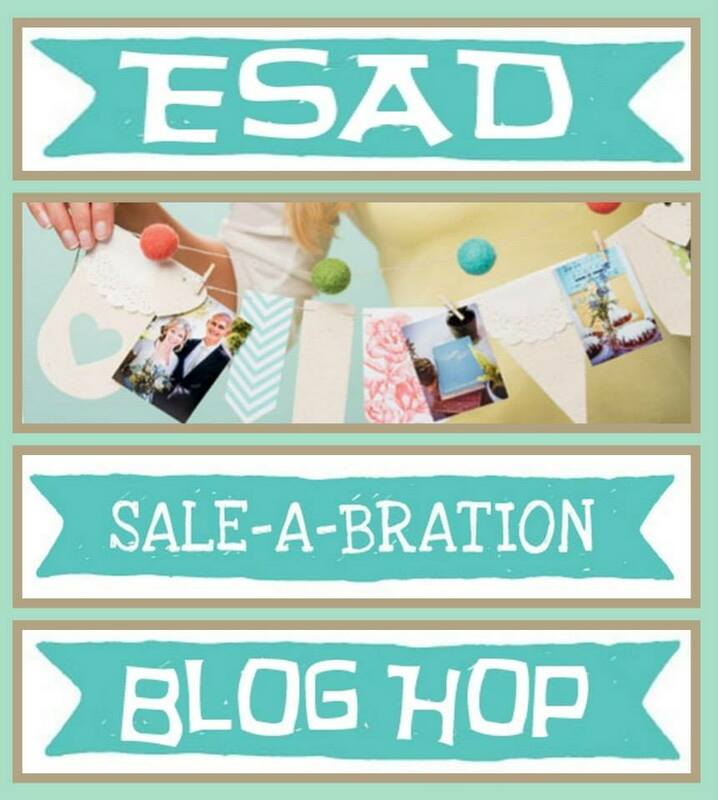 What is ESAD?ESADstands for “Extra Special Australasian Demonstrators” and it is anon-line group just for Australian and New Zealand Stampin’ Up!demonstrators.We love what we do & love to share with our customers, friends, andwonderful blog visitors. We also share what we love in our ESADDemonstrator community, through swaps, challenges, sharing knowledge,ideas & friendship, and we’re always there to help and support each other.So if you are a Stampin’ Up! demonstrator located in Australia or New Zealand,then please feel free to leave me a comment with your Email address and I’ll contact you withinformation on how to join our wonderful group. You will have just come from Ann Gerlachs blog or maybe you are just starting here. If you get lost then see the full list at the bottom of this post to carry on. My projects are for an upcoming BFF weekend away with my besties Sherryl and Leeanne. Now while I cant tell you whats in their BFF Survivor boxes (might spoil the surprise if they are looking), I can show you the outside and the packages inside. 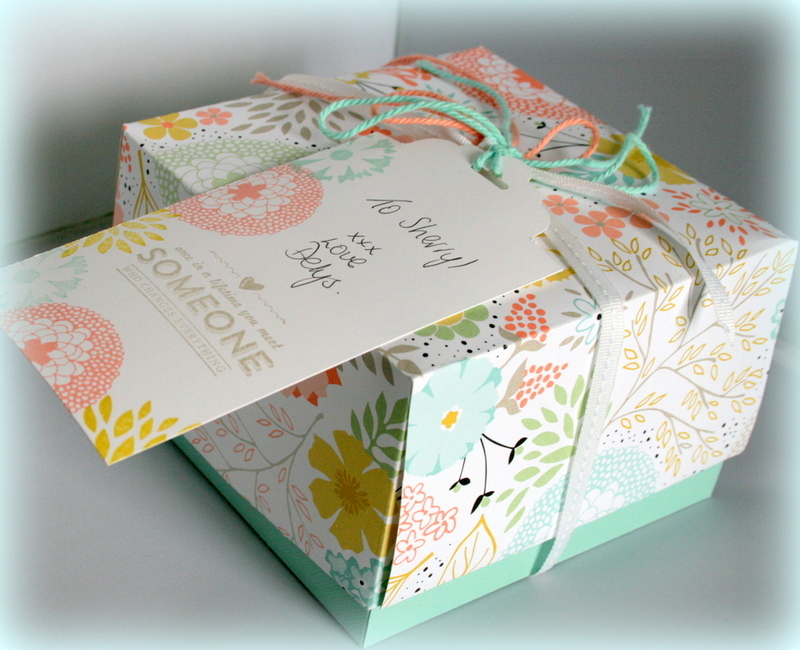 This box is using one 12×12 sheet of the Sale a bration paper (sweet sorbet) and one sheet of Pool Party Coredination Cardstock. The bottom (pool party) I just cut 1/4 inch off two sides and made the 6×6 box as shown in this video. 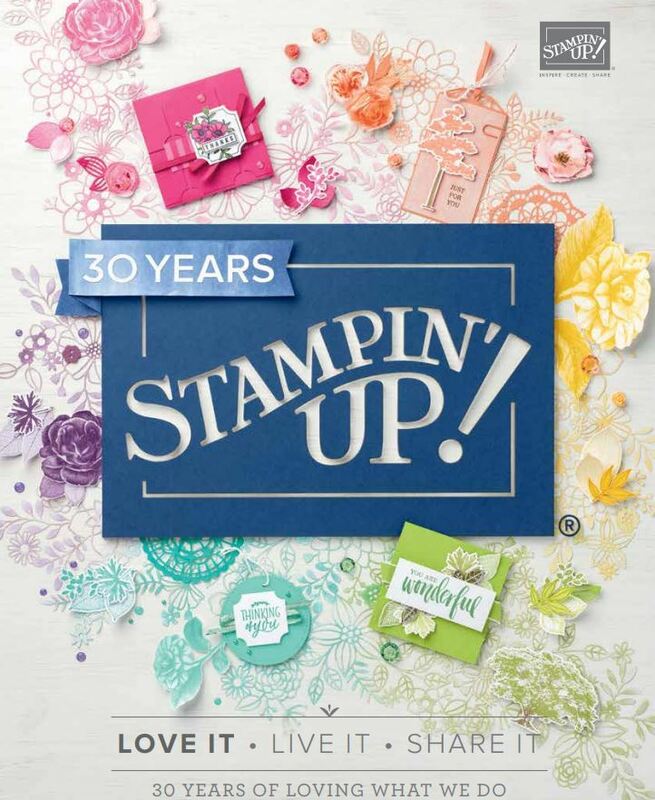 The tag is stamped with two Sale a bration stamp sets Petal Parade and See Ya Later. The inside packages ..I dont have tutorials for as just made them up as I went but Im sure there are a few tutorials on the net to make some like these. 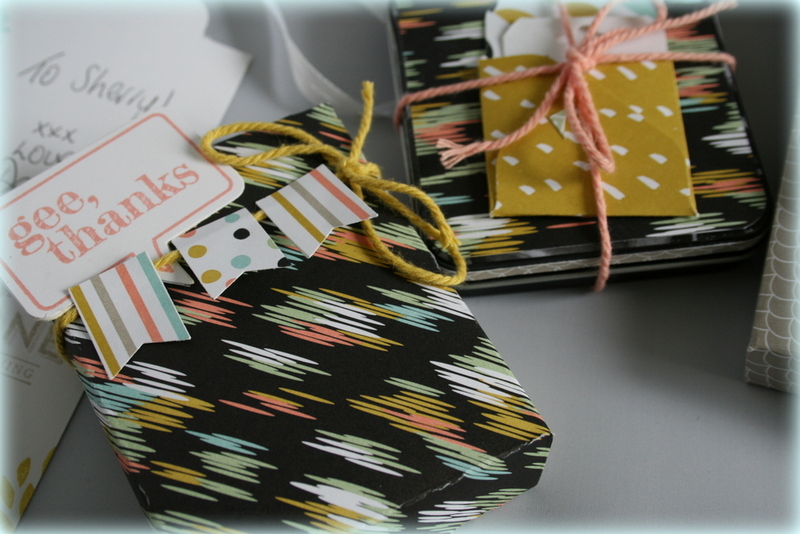 The new twine is just gorgeous and really coordinates so well (in true Stampin’ Up! style). Im in love with our new banner punch which Im excited to hear will carry on over after the Sale a bration period ends. 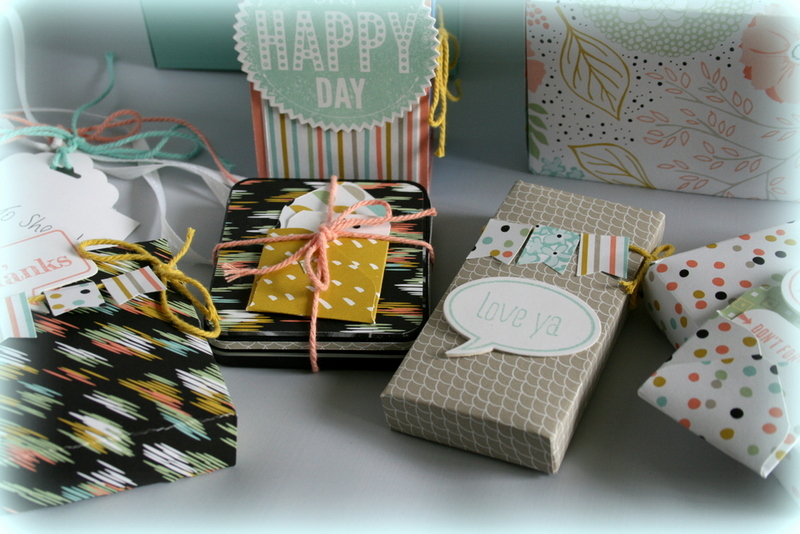 There are a few other sneak peeks of our new Occasions Catalogue but thats another post! Heres the list of demos participating if you get lost. oh beautiful. Wow. Amazing work. Amanda took the words right out of my mouth!! 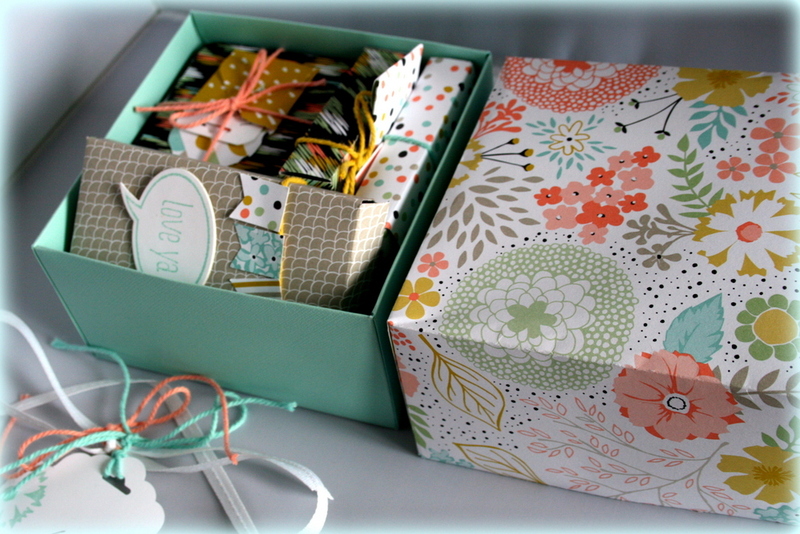 The box and tag are beyond gorgeous, Delys. What a treasure trove of delights inside, too. LOVE. Gorgeous Delys – when do we get to see what is inside the little packages? What a beautiful gift Delys – lucky girls! Waaaaaahhh, I want to be your BFF!! Such gorgeous packages! Wow – as always stunning creations Delys. Can’t wait to see what’s inside. Absolutely love your project Delys, fabulous as always. 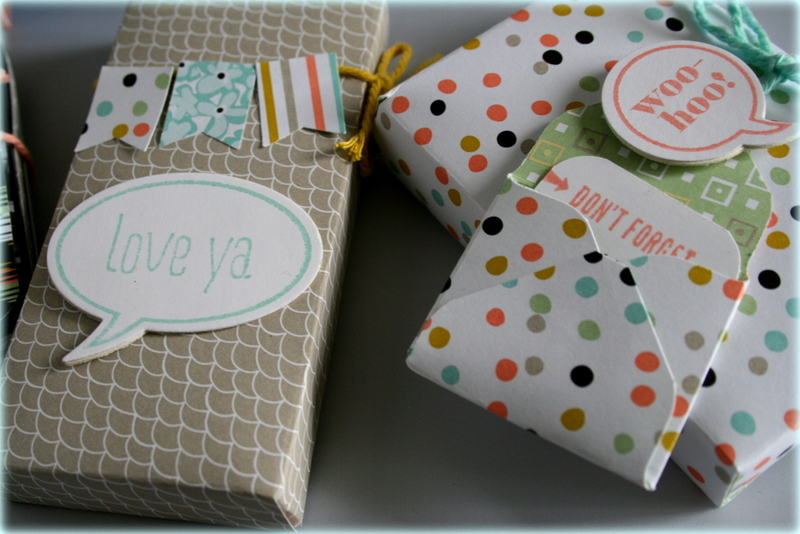 what an awesome box of goodies – just one problem – you put the wrong name on the tag hun …. it’s spelt L-e-o-n-i-e!! Wonderful as always Delys. I love all the little packages, but I think the tag is the stand out winner for me. It’s simple to do, but just looks amazing. Totally love it. Your boxes look like they were just as much fun to make as to receive. I have to ink up my Petal Parade stamp set now. It goes so well with the paper. Love your projects and bet the lucky ladies who receive them will be very happy! !